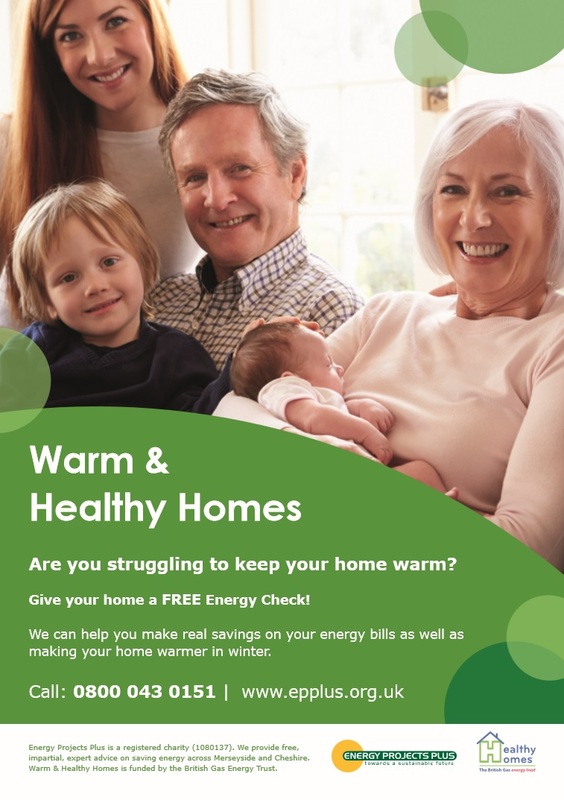 Warm & Healthy Homes offered free Home Energy Visits to people who are vulnerable to living in a cold home, including those with a health condition affected by cold, over 65s and children under 5 years. Funded by The British Gas Energy Trust, the project was delivered with the support of six local authorities: Wirral Council, Sefton Council, St Helens Council, Halton Council, Cheshire West and Chester Council and Cheshire East Council. Free LED lightbulbs, energy monitors and water saver packs. Home Energy Visits are still available under our LEAP project. To apply for a free Home Energy Visit complete a contact us form or call the Save Energy Advice Line on Freephone 0800 043 0151. Over 2,500 people benefited from Warm & Healthy Home’s home visit service. We oversaw the installation of 375 heating and insulation measures worth £624,000. We unlocked an additional £40,000 of income for our clients. We provided energy and fuel poverty training to 236 front line staff.